My friend has brain cancer (Glioblastoma), he's being pushed by white coats to get chemo, saying he only has 3 months left to live. Newport is this the path this type of cancer takes? Unfortunately that is all without the knowledge that "Obsession" (term used by Fr. Malachi Martin) is in "practical" terms a change of electrical polarity of whatever body part THEY can access due to the help by Czechoslovakians Terra-forming us.. I know the white coats lack the knowledge to heal, bring the body back to the correct voltage. Is there anything you can recommend? Will rife work as proposed in the cancer FAQ? From some research this morning i found Cannabis and keto diet could help. We all know chemo isn't the way. Although my friend is contemplating it, probably different when you are the one in the seat and doctors screaming at you. Cannabis only works if it contains pollen and that is the #1 rule in licensing Medical growing ops that all plants MUST be from cuttings no flowering allowed. Chemo does what the entire Medico Mafia is for, reduce the immune reaction to their Terra-forming..
With what I said in my earlier post, I'll let you work that out on your own. "Cannabis only works if it contains pollen and that is the #1 rule in licensing Medical growing ops that all plants MUST be from cuttings no flowering allowed." Contains pollen? Only males have pollen sacks, females flower without the aid of pollen, if they were to cross breed there would be seeds in the flowers which is undesirable. Plants from cuttings as in not from seed? Or are you saying extracts from only plant matter and not the flowers? Do you have a link on this or more info, because this is the first ive heard of pollen being needed and duck duck comes up short. Phoenix tears comes from extracting the active compounds from the flowers (buds), no pollen. Ill sleep on your prior post, ill admit, sometimes i read your posts and they sound like riddles... cracks in the mirage. Did you read on how this man went on Keto diet and had the same prognosis and now some 4 years later still alive. Which man? I did read a few articles this morning. Juice 5 pounds of organic carrots per day to cure cancer. Carrots shrink tumors. Need to get a juicer efficient enough to get 40 ounces out of 5lbs of carrots. Costs only 3 dollars per day and easily done. I've been drinking 40 ounces per day and it is very do able. Have any questions just ask. 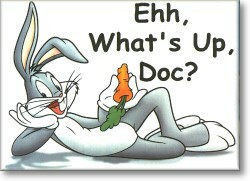 I read that carrot can get gases out of your system... Is that true? My friend's mother stays in remission with carrots and buys the big 50 lb. bags. Carrots have chemicals that will sterilize your small intestine (which is suppose to be sterile). Carrots have enzymes that should help with digestion. Carrots contain an amazing number of naturally occurring compounds. Falcarinol and luteolin have been studied extensively for over 10 years and have the strongest known effects. Lemon water is and excellent thing to drink with meals as it will give the stomach acid and enzymes for digestion. Helps dissolve calcium stones in the kidney's. Has vitamin C. It also decreases gas and reduces the smell. I passed the link on, thanks. I have read it is being used in Germany to treat brain cancer. I have also seen before and after x-rays of the brains that have been treated. There is a significant difference. I do not know if it is being used for the same kind of brain cancer that your friend has, however. Regardless of what alternative method[s] your friend might use, they MUST_totally_ eliminate from their diet things that readily feed cancer, namely refined sugars and processed foods and fried foods. Short of going the Jerry Brunetti route, they should also reduce or eliminate most second-hand "by product" foods. It will do them well to include some of the methods of Gerson, Kelley, Christopher and Schulze; coffee enemas, juicing ( like carrots), lots of low-cooked and raw foods, herbs that promote circulation, detoxification and elimination, and hydro ( hot & cold cycles) water therapy. good luck, please pass on to your friend to decide for themselves at the risks and rewards. Warning: Oleander extract is made from a highly-lethal, poisonous plant. The following post is meant to offer exciting insight into emerging scientific evidence of its use as a natural remedy. Taking this extract without the guidance of an expert can lead to serious health complications, including death. Anyway...i have taked the selenium tung oil so far up to 20 milligrams selenium /day, that`s milligrams and not micrograms and cant say i noticed any toxity, i feel i may run on to copper problems thought, copper deficiency...since well...i loadet with selenium which reacted with some bad heavy metals like mercury, and before all this i had loadet myself with a lot zinc...so i believe the copper/zinc balance change after i taked a lot more selenium ....becouse mercury binds also to zinc and since i step up selenium quite a bit the balance i had earlyer flipped to maybe too much zinc and that then cause lower copper levels--well my theory anyway ..
form of natural chemotherapy would include all of these substances. Also . cell phones cause brain cencer,so all EMF is so NO NO. PEMF Therapy is also essential, look for EarthPulse machine which is by definition a time machine to our bodys to have the right natural frequencys that our bodys recognize and use to activate the self healing mechanism etc..like going back in time where all this man made elektro smoke that is frying our cell`s and mind`s did not exist. Selenium is natural chemotherapy agent.Enough oxygen can also fix cancers i believe. Dr.Marc Sircus also have many exellend e-books to sell with reasonable prices, i allready buyed 2 and both are great read.